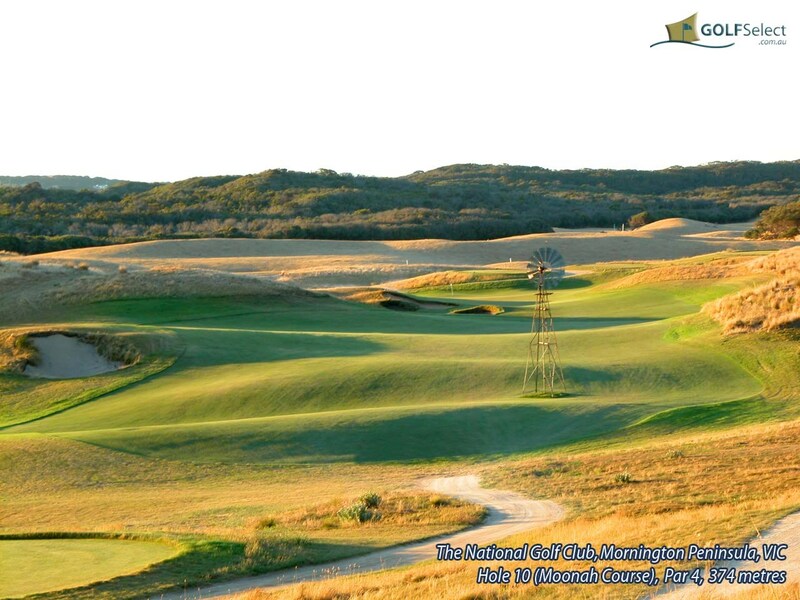 The National's Moonah Course was designed by Greg Norman and is set amongst rolling paddocks formerly part of the Gundabah pastoral property. The course is perfectly manicured and boasts some of the best fairways in Australia. The greens are also very true (and quick if you are putting from above the hole). The style of bunkering is what really defines the course. 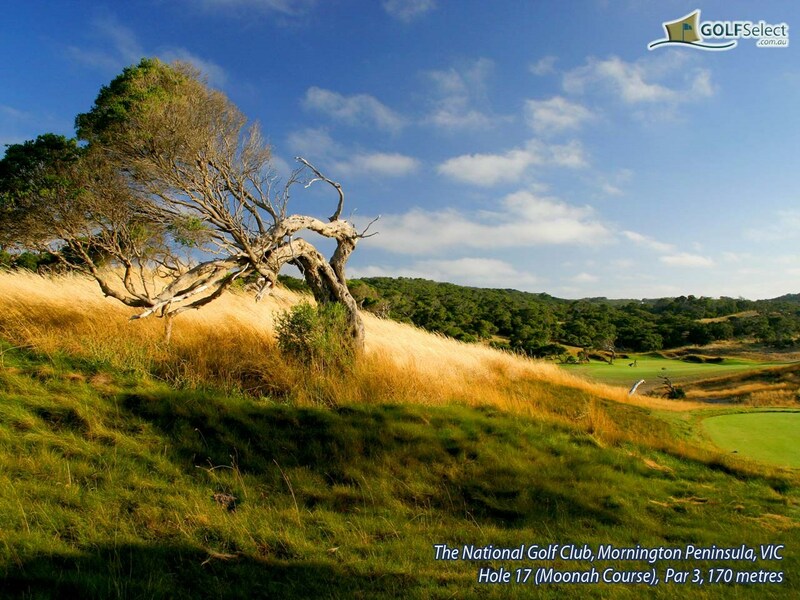 The Moonah Course was open for play in October 2000 and is a design by Greg Norman. 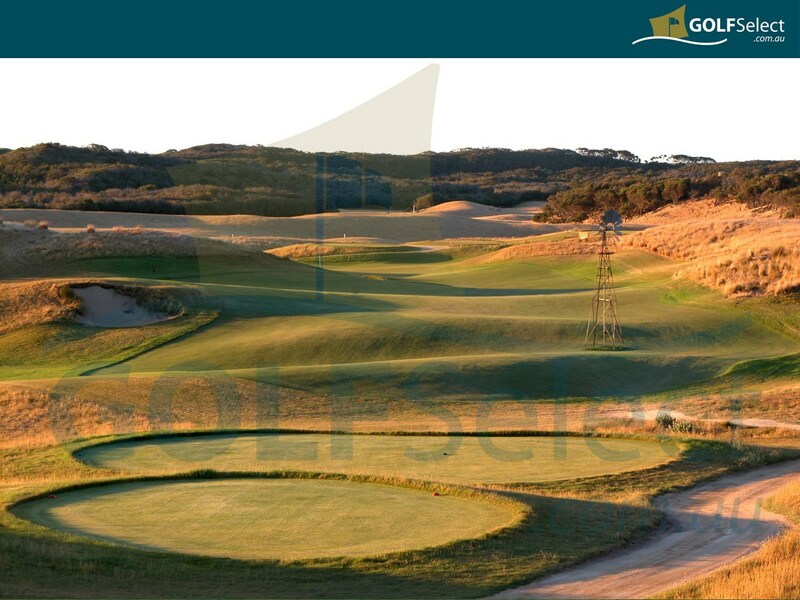 It has a well deserved Australian course ranking of 8 and is set amongst rolling paddocks formerly part of the Gundabah pastoral property. 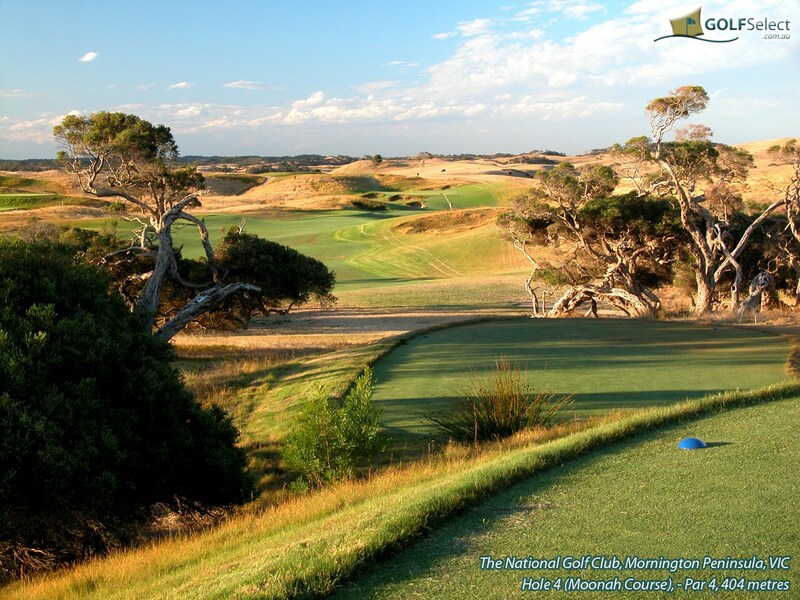 Norman has done a great job with the Moonah course and the combination of the 4 challenging par 3 holes, 14 par 4's ranging in length from 280 metres to over 420 metres and the four par 5 holes which meander through high valleys offer an enjoyable, if not challenging golf experience. 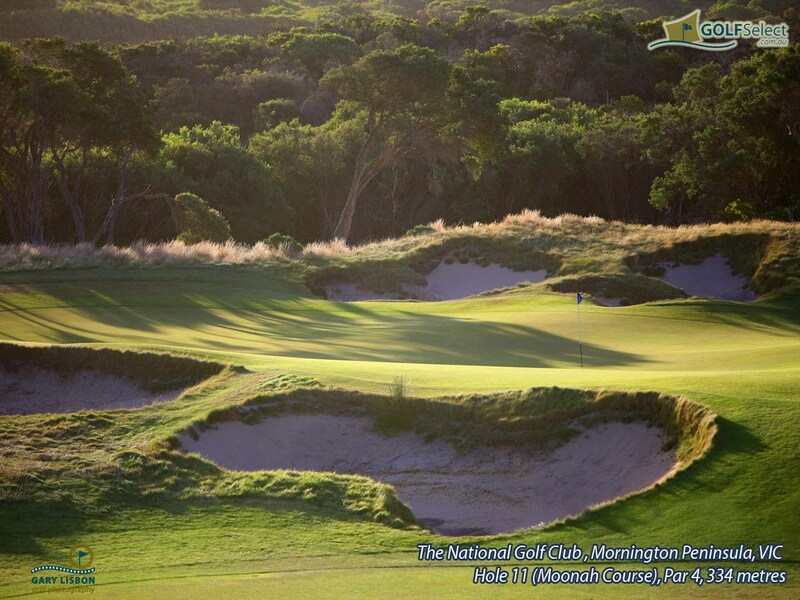 The Moonah Course is perfectly manicured and boasts some of the best fairways in Australia. The greens are also very true (and quick if you are putting from above the hole). The style of bunkering is what really defines the course. The bunkers are generally unkempt with long, wispy grass framing the edges. 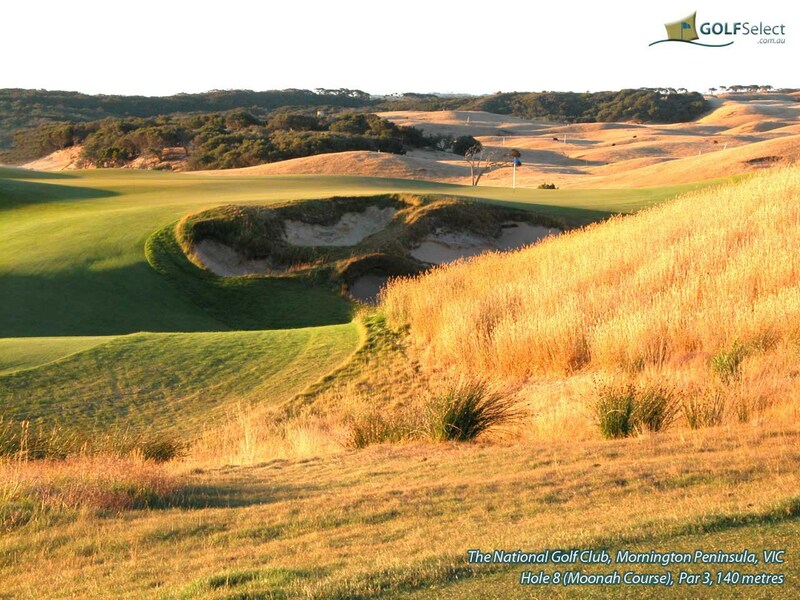 They provide a style which is very suited to the general terrain that the Moonah Course is located in. Plenty of good birdie opportunities exist in the first 13 holes however the finishing 5 holes can easily ruin an otherwise good score. Starting from the 14th hole (a long par 4 of over 420 metres) followed by the 15th (deceptively tricky par 5) and the monster 16th (again over 420 metres playing downhill and then uphill) the course has a slight breather with the 190 metre par 3 17th! 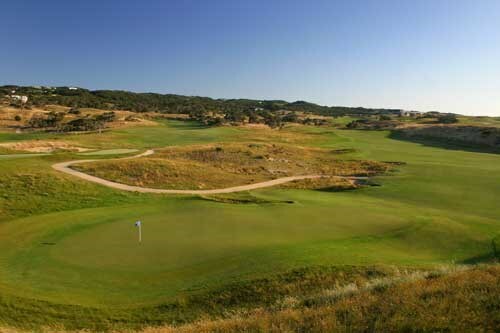 but then provides a very tough finishing hole (par 4 of around 400 metres) where par is a good score. But do not let the last 5 holes scare you too much. 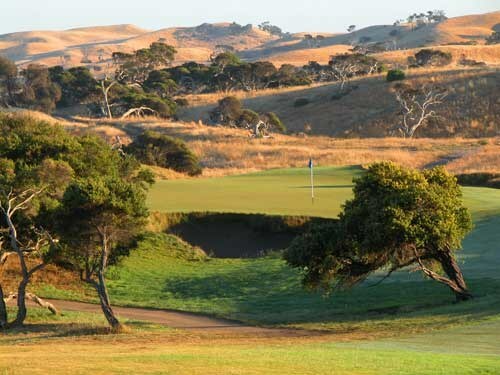 The course is scenic in its own way (no ocean views as it is laid out in the paddocks lower than the Old course) and is very cleverly laid out taking full advantage of the rolling "Cups" country that is perfect for golf courses and unique to this part of Australia. 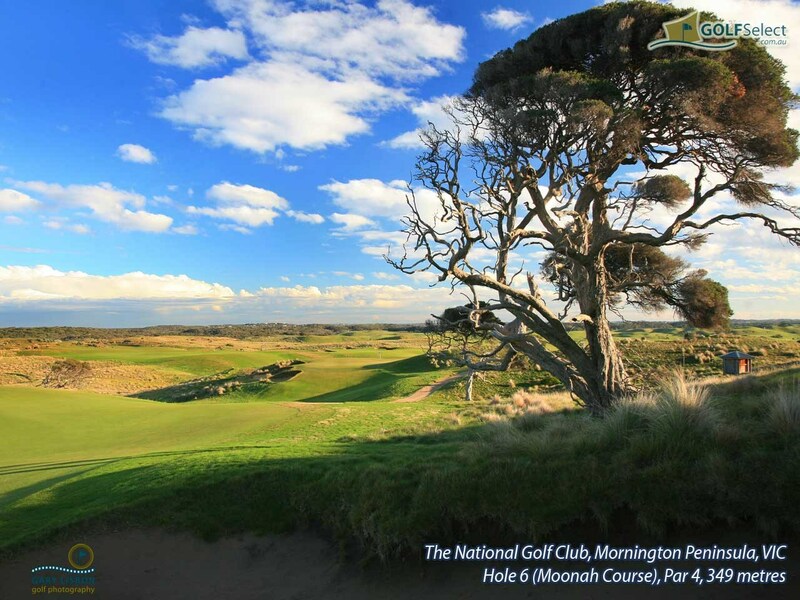 The National, located on the Mornington Peninsula approximately 80 minutes from the city of Melbourne, is a must play for any keen golfer. 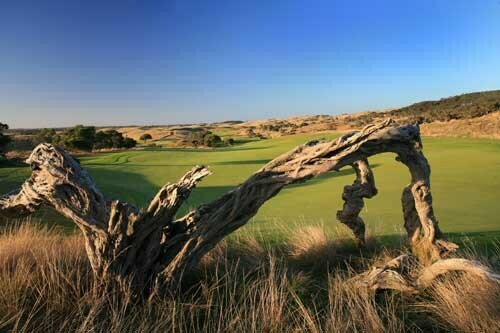 All three courses are ranked in Australia's top 40 and there are some spectacular coastal views. Getting your ball on this very wide fairway should not be too difficult. All the trouble is around the green, which is not large and has some quite severe slopes. Attack the flag only if you are confident of nipping the ball otherwise the front of the green should be the target. A par five hole running to the north with an intriguing green set obliquely to the line of general play. 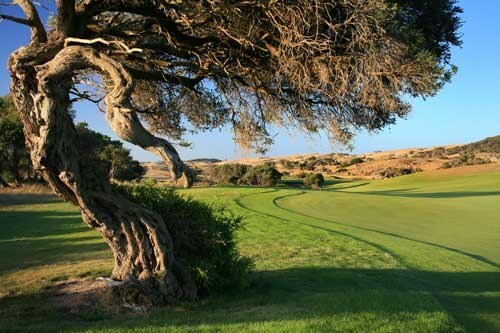 Strategy for playing this hole will vary tremendously according to the power of the player and the wind conditions on the day. One thing is certain though. 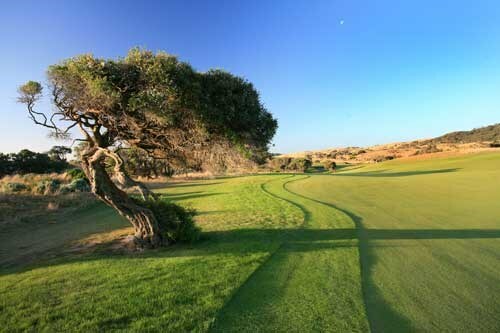 More pars and birdies will be made by a tee shot into the fairway, followed by an iron shot second to the heart of the fairway between the final framework of bunkers, located at pitching distance from the green, without succumbing to the temptation of attacking the green directly for two. A gem. 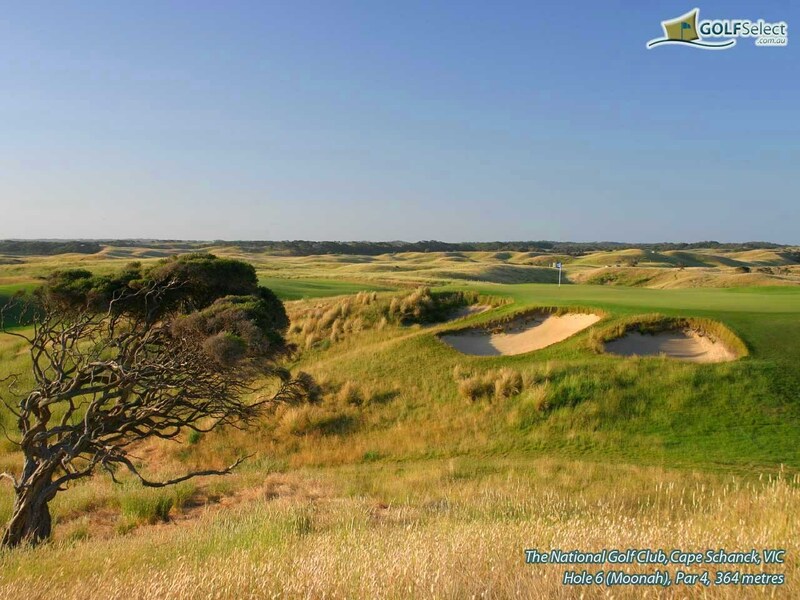 This slight dog-leg left oozes natural appeal and was formed by nature, not a bulldozer. The tee shot is ideally played left of centre to receive favourable bounces and to shorten the journey. 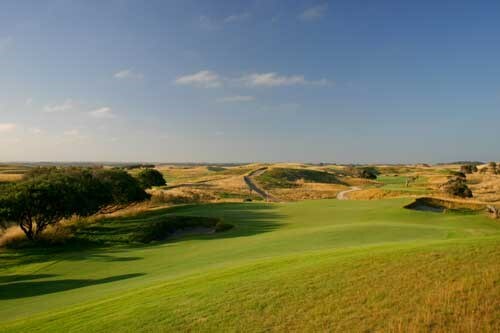 The second shot must be played with regard to the raw bunkering beyond the green. Putts from the front of the green are invariably slow. Already the course is clearly favoring the long hitter and the requirement is again laid out here. The tee shot if powerful affords a much easier second shot to a green where very obviously shots will feed to the left on landing. It is a great penalty to miss this green in regulation on a target specific mission. An unusual hole across the top of a ridge. The tee shot must be played with precision to control direction in prevailing cross winds. To miss the target left is a likely disaster. To miss right affords some prospect of a par. A challenging short par four where accuracy reaps rewards. 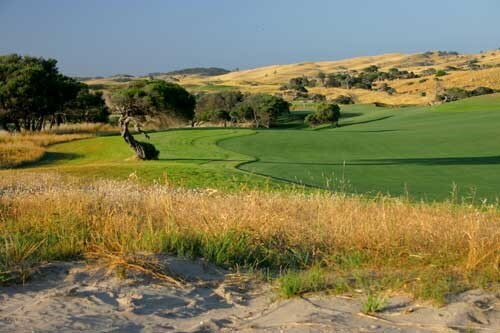 A must hit fairway since it is a most difficult green to find from rough or fairway bunkers. The firm green will only reward a soft approach (unless headwinds prevail). Perhaps the most challenging greenside bunkering in the state. 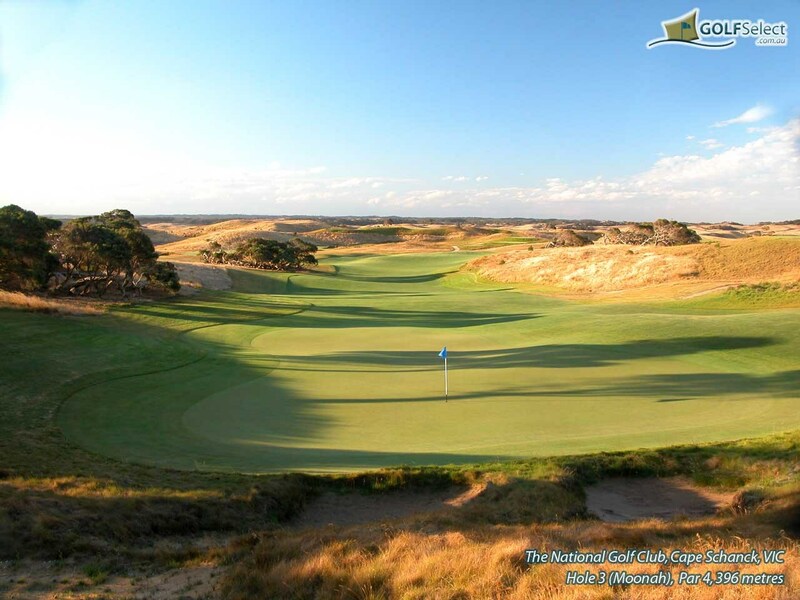 A piece of pure links beauty and challenge. The teeshot is framed by the deceptively deep bunkers. A rear pin placement will favour running approach shots, to a green which is about 3-4 clubs in depth. The aggressive play is to take on the left fairway bunker and enjoy the added distance of landing the drive on the down slope to set up a birdie. An elevated, exposed par three with the question asked about precise ball striking from the tee. Three distinct pin locations on the green provide variation and challenge along with a test of putting prowess. A shot left short, or one which finds the deep bunkers front right, prohibits recovery for par. A semi blind tee shot is particularly challenging for shorter hitters who play to the heavily contoured narrower section of fairway. If hit strongly and left of centre the successful drive will leave a basic pitch to a firm yet fair green where contours can assist the skilful in birdie production. A strong drive is required to maximize run on the fairway downslope. 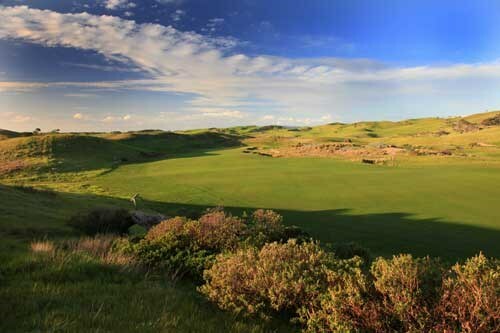 The true links style amphitheatre around the concave green feeds approach shots towards the centre. 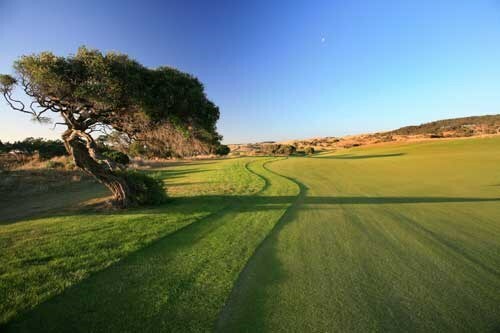 If the second shot is simply played to the centre of this challenging green the golfer will consistently reap reward. Teeshot plays to a plateau. Choose approach club carefully to avoid bunkers, and out-of-bounds, on the back right. If the approach to the green is being played from a short drive, height and carry are a premium on the shot to control existing contours and to obtain benefit from the land. Length appears to be the only issue on first sighting. The hole is in fact a test of placement too with birdies and pars set up by being left of centre in the fairway after two shots. Again the powerful player has the edge, but the patient consistent player is in with a chance too. A hole where luck will intervene. 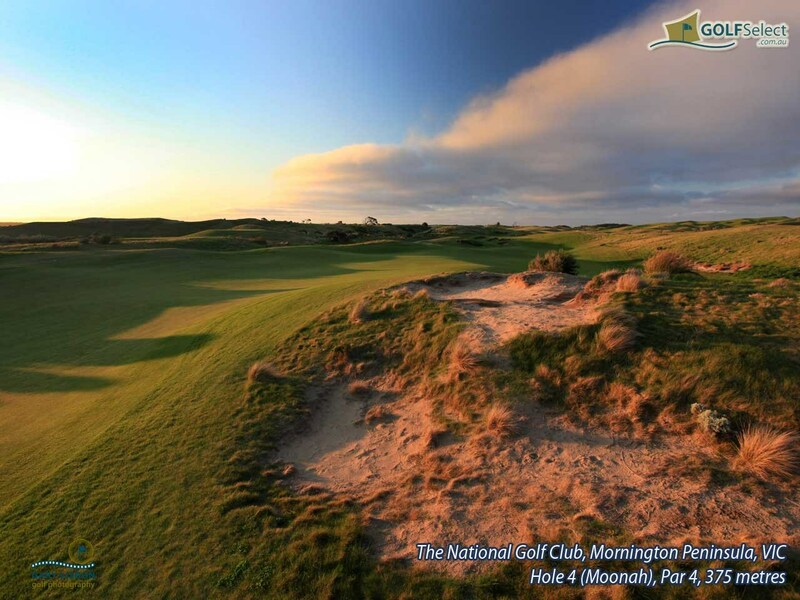 For best results play the tee shot to the right of the pin on all occasions other than fierce winds to the contrary. Soft landing tee shots receive the best treatment on a hole that few will prevail over. The drive to a wide and down sloping fairway affords an improved angle for those who can place the shot left of centre. The second shot offers great advantage for those capable of elevating the approach from the downhill lie. On the green itself most approaches will be gathered by the concave surface. Stay right to avoid the penal grass, which runs the length of the leftside fairway, forming a dog-leg of rough for second shot (for long hitters only). The approach can be engineered to finish close to the target if the slopes on the green can be used to good effect. Great driving hole. Attack with second shot club selection. Shots hit short to green will feed to four deep bunkers left of green. Contours at back of green are favourable. The fairway bunkers are among the deepest on the course and must be avoided at all costs. Wind consideration is important from sheltered tees. Shots landing in front will kick forward from the downslope. Loss of direction here is tough to recover from so play to the left half of the green with a positive shot and enjoy the result. The drive played to the left half of the fairway will run into an up slope where little run is available. An arrow up the middle and another to the deceptively narrow green is the best play. The deep green will send most approaches to it?s centre and is around three clubs in length.